RCEA’s Community Choice Energy program (CCE) has been serving some 60,000 customers since May 2017, with approximately 700,000 MWh of annual load and over $2 million in yearly bill savings relative to the investor-owned utility generation rates customers would otherwise pay. Our CCE service appears as “electric generation charges” on local customer bills. Although we don’t yet own or operate any power plants, we work with The Energy Authority (TEA) to purchase power on the wholesale market on behalf of our customers. We also contract directly for some resources, such as local biomass power. Electricity revenue from our CCE program is redirected into community-driven energy choices, including development of an offshore wind energy industry in California with Humboldt Bay as a leading hub, and RCEA’s first solar-with-storage generation asset, planned for the California Redwood Coast – Humboldt County Airport. Renewable Energy Requests for Proposals – In February of 2019 we launched an RFP with the goal of entering into long-term Power Purchase Agreement(s) with one or more renewable energy facilities. The RFP favors resources in Humboldt and surrounding northern California counties. 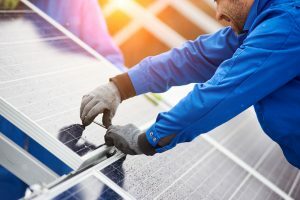 Feed-In Tariff Program– In March 2019 we introduced a FIT, offering a fixed, long-term price for community scale renewable energy projects under one MW in Humboldt County. The Integrated Resource Plan Our biennially updated Integrated Resource Plan describes our electricity resource needs and guides our procurement process. The Redwood Coast Energy Authority’s Board of Directors launched Community Choice Energy (CCE) in May of 2017 based on years of strategic planning and robust public engagement. The core goal is to maximize the use of local renewable energy while providing competitive rates to customers. In 2012, RCEA’s Board adopted a Comprehensive Action Plan for Energy (CAPE) that established a vision for 2030 that includes Humboldt County no longer being a net energy importer and the majority of the community’s energy needs being met by renewable energy sources. In 2013, RCEA finalized the RePower Humboldt Strategic Plan which further evaluated and reaffirmed the goal of Humboldt County meeting the majority of its electricity needs as well as a significant portion of its heating and transportation energy needs from local renewable resources by 2030. On March 28, 2019, RCEA’s Board adopted the target of a 100% clean and renewable electricity power generation mix for RCEA’s community choice energy program by 2025. Updates to CAPE are expected to be made by the end of 2019 to incorporate this new timeline.